Well we are halfway through the week & already conversations are starting along the lines of ‘how do we build on all this?’ First visit today was to the team at Birtley who are having a great time just engaging with the general community who come onto the premises for coffee mornings, craft groups and drop in lunch. I was particularly impressed that the church have said that this week everything is free…they want the community to receive their hospitality as a gift. 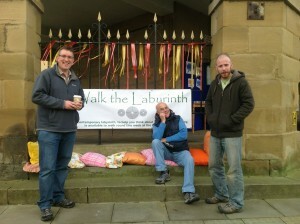 This is a photo of Gwenda who’s done an amazing job as a local organiser (HUGE thanks go to all the local organisers). As you can see from their notice board the publicity was good too….in fact as a Birtley resident myself, I received an invitation through the door to call in for some of their events. Well done Birtley. Then Rob Wylie & I visited Alnwick. 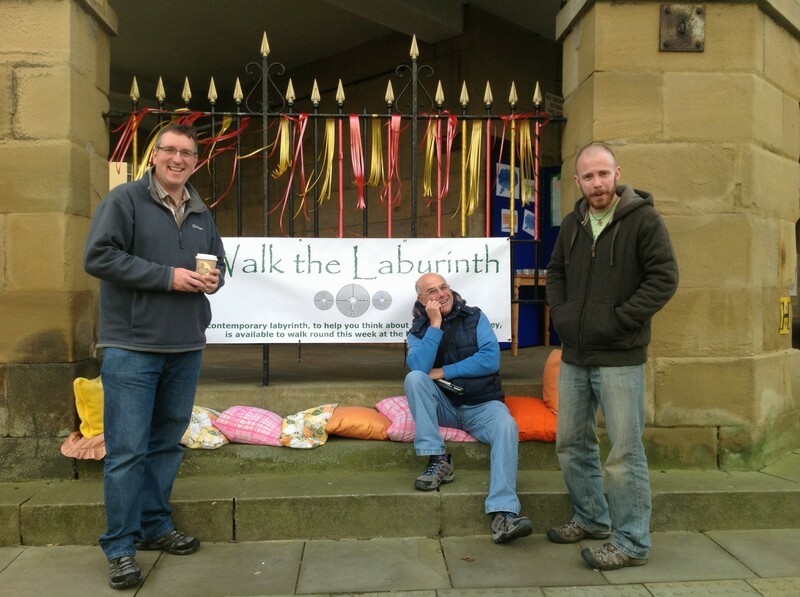 They have a prayer table in the market place & have been inviting people to go into the church to engage with a beautifully thought out labyrinth. They’d found the street work really hard on Monday & almost felt like giving in. But they sent out lots of requests for prayer & since then have been engaging with lots & lots of people. Their despondency has turned to huge excitement & amazement at all that God is doing. Look at these 4 youngsters writing prayer requests underneath the table…how cool is that? 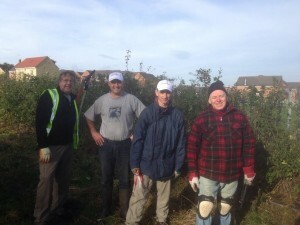 As well as ‘Prayer on The Streets’ the team in Bede have been out every afternoon doing community clean ups & gardening with some lads from Wrekenton Boys Brigade joining in the fun. We then had a whistle stop visit to Hettons Holiday at Home….I was a little disappointed to have arrived too late to experience their nail bar. Tomorrow they have a trip out then Songs of Praise. 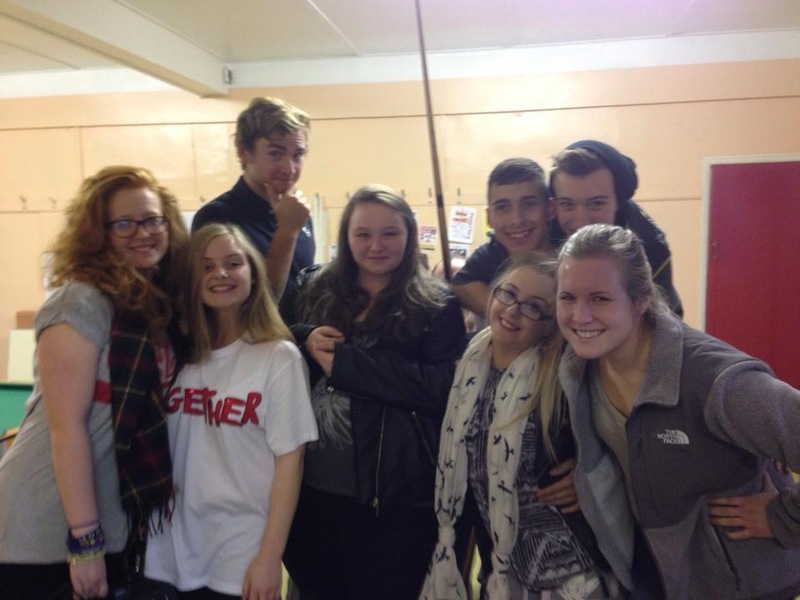 In the evening we went to Cullercoats Methodist Church to share in a community meal. The team had done a great job inviting people. The two women I sat with had both come along simply because they received an invitation through the door. 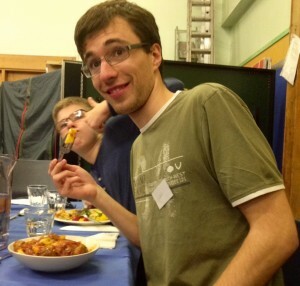 We had a wonderful meal with lots of laughs as we embarked on a quiz. Team leader Andrew eating his 3rd helping! No one seemed in a hurry to go home. It was lovely to see the community police call in to see what was happening….and then stay for dinner (they were rubbish at the quiz though). So, another inspiring day. For those of you who pray, ask God to give us all energy to keep going for the next 3 days.